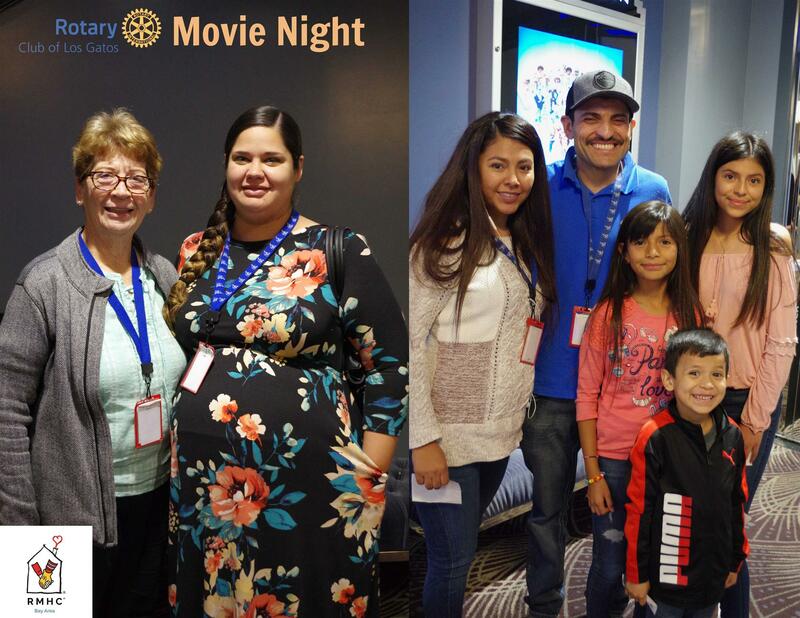 Rotary had a “fantastic" night on November 16, 2018 hosting two families who are staying at the Ronald McDonald House for the opening night of Fantastic Beasts: Crimes of Grindelwald. This is the second movie night Fundraiser Los Gatos has hosted. Last year the club purchased every seat available for opening night of Star Wars the Last Jedi. The club raised over $6,000 last year by reselling the tickets for up to $40/pp to Rotarians, friends, and community members. All proceeds benefit The Ronald McDonald House. Each year Rotary extends tickets to families for a night out. This year two families join us; The Barrett family, Leisel brought her mother. Leisl’s unborn daughter will have open heart surgery at the end of this month to repair a critical heart defect called Tetrology Of Fallot With Absent Pulmonary Valve. There are only two doctors in the world who specialize in this life saving technique. The second family has a premature baby being treated in neonatal care. Pimental family, who are brought three of their children. Mom and dad are Graciela and Rigoberto. They have been staying at the Ronald McDonald House for 4 1/2 months now. Rotary hopes to raise another $4,000 from this movie night.